We will be open normal business hours this Monday, but closed Tuesday for Melbourne Cup. Have a safe, happy and productive weekend! But really we do! Our new service, We Print Photos, will alloy you to order Bond Imaging quality prints without having an account. 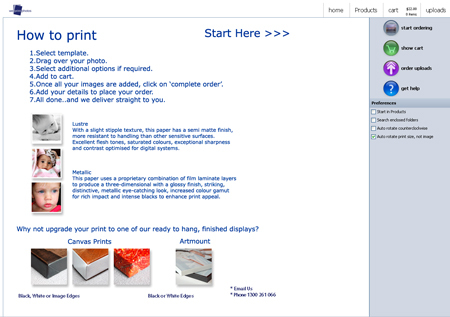 The We Print Photos ordering system is now up and running! You can easily order prints online and have them shipped directly to you! 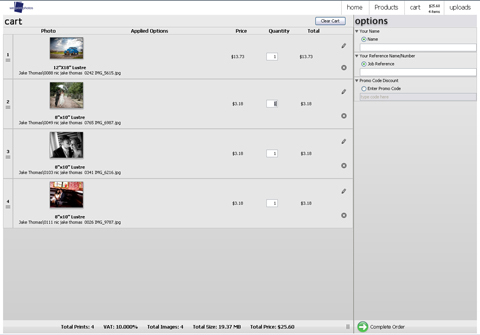 When you head to WePrintPhotos.com.au, you will want to first check out the service offered. There are a large range of sizes* and options to print onto our standard Lustre paper, our gorgeous gloss Metallic which can be mounted to our ready to hang 20mm Artmount. Or create your own Fine Art Canvas with your favourite image! All of the costs for each product and services are just a click away. Once you are ready to order, begin by clicking “start ordering”! 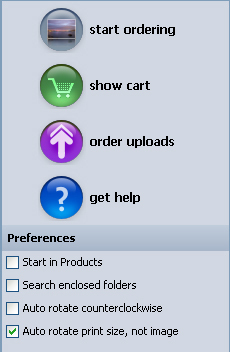 When you are ready to upload, click “Complete Order”. You will reach the checkout page and first, select whether you would like your order shipped or if you would like to pick up from the lab. Once you’ve selected your delivery method, you will be prompted to complete all the required details for your order to be process. If you’ve missed anything, those missing fields will highlight and let you know. Once everything is filled in, all you have to do is click “Place Order”. And that is all! Let the files upload and you’re on your way! Please don’t hesitate to call us with any questions or issues you may have! 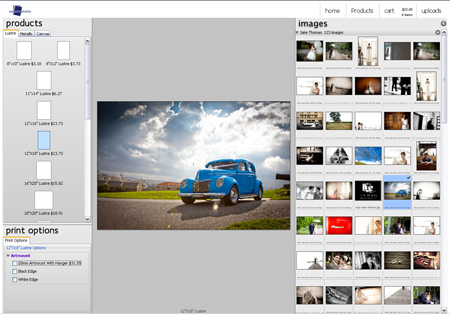 *Please note the size requirements and compare with the files you would like to use. This will give you a rough idea of the maximum size you will be able to print with the best quality. There is ongoing Road Works on and around Gwynne and Stephenson Streets this week. Please ring us if you require assistance! New (and fantastically cheaper) Inkjet Printing Prices! Since our inkjet printing has really taken off, we have been able to lower our costs to you for all of our Canvas and Fine Art Paper Inkjet Printing! 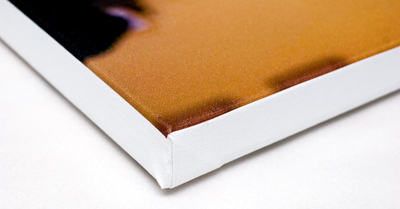 With our Canvas Printing, you have the choice of three different types of Canvas! 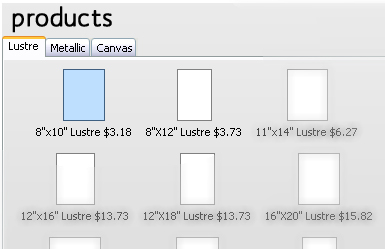 Our Warm White Canvas captures a soft, warm artist look and is gorgeous with Black and White images. Our new Gloss Canvas has a gloss look without extra laminating and is great for a range of images. Our Vivid White Canvas is still one of our most popular with its’ crisp clean look. Our Inkjet Papers have had such a good reception! There are multiple papers that you can choose from as well! Our Softex paper has a natural white, with a slightly structured, soft-textured surface equivalent to a traditional fine art paper making it ideal for digital fine art reproductions. 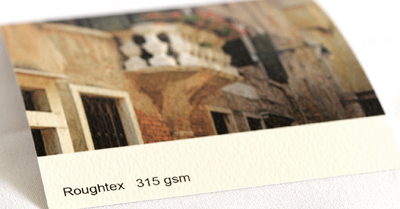 Roughtex paper has a natural white finish with a coarse structured surface equivalent to a traditional watercolour paper. Indoor/Outdoor Paper has a clean un-textured surface and is suitable is for most other applications. And Decor Art Paper, the new kid on the block, has a gorgeous bright white base and a texture similar to a watercolour paper and our Roughtex paper. Please contact our Customer Service for more details and for samples of our newer stocks!